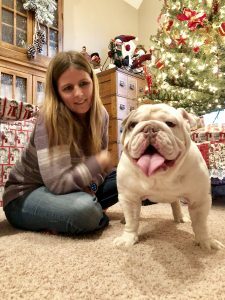 Dash the 2 year old English Bulldog was unfortunately surrendered over to the staff at East Holmes Veterinary Clinic due to bladder stones. Being partnered with East Holmes vet clinic in re-homing dogs in need – they quickly got into contact with us as it was apparent he needed to have surgery immediately. We raced down to Berlin, Ohio and picked up the poor boy. We transported him to our veterinarians at West Park Animal Hospital where he underwent his first surgery. 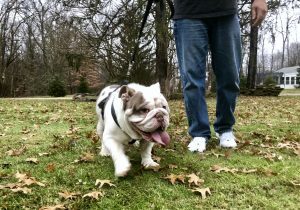 The stones were removed and he went into a foster home with Friendship board member, Amy Richards, and her husband. While he was recovering from his surgery, they noticed he was still having trouble going using the bathroom… A week later, it was back to the doctors. This time they sent him home with antibiotics for a possible urinary tract infection. Things did not seem to be improving despite the treatment. In fact, things seemed to be getting worse! Dash’s veterinarians at West Park were at a loss. We all agreed that it was time for him to see a specialist. We took him to Metropolitan as an emergency patient. It turns out we were all in for a shock at what this poor dog was enduring. Dash had probably been living with bladder stones for so long that they had completely scarred his urethra. It was at the point where a catheter could not pass through from all the scar tissue. His bladder had swelled to the size of a grapefruit due to his inability to relieve himself. There was only one choice – a very drastic surgery to bypass the scar tissue. This amazing surgery done by the specialists at Metropolitan changed Dash’s life forever. They made a completely new urine passage for him so he could finally use the bathroom like a normal dog. It is truly incredible! Dash was now able to go to the bathroom on his own! He seemed like a whole new dog that was comfortable for the first time in years. A flip had switched and he was happy, playful and running around! After months of recovering from both surgeries, his foster family could not let him go. 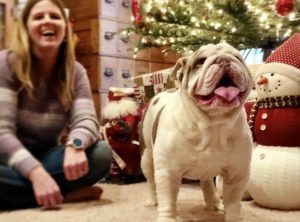 His new name is Fred, he has another English Bulldog sibling, and he could not be living a more happy and fulfilling life. Fred is just one of many special dogs that we are able to give a second chance thanks to your generous donations. Because of your support, we are able to change lives for dog’s like Fred and so many more. His surgeries and vet visits cost over $4,000. But the cost of seeing him running around and playing in the backyard…is truly priceless. 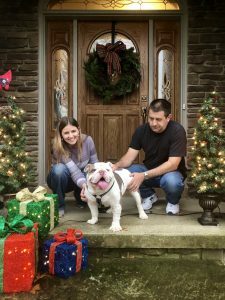 To help more dogs like Fred, considering supporting the Friendship APL with a one-time or recurring donation.